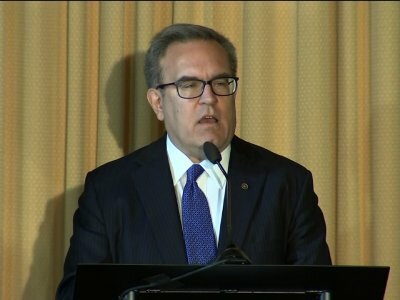 In his first remarks to agency staffers since Scott Pruitt’s resignation last week, Wheeler said he recognized the stress that many might be feeling about the change at the top and sought to reassure them. “I value your input and your feedback,” he said. And by Wednesday, Wheeler’s schedules for the day were posted on the agency website. The day — his third as acting chief — included a session at the White House and calls with lawmakers.